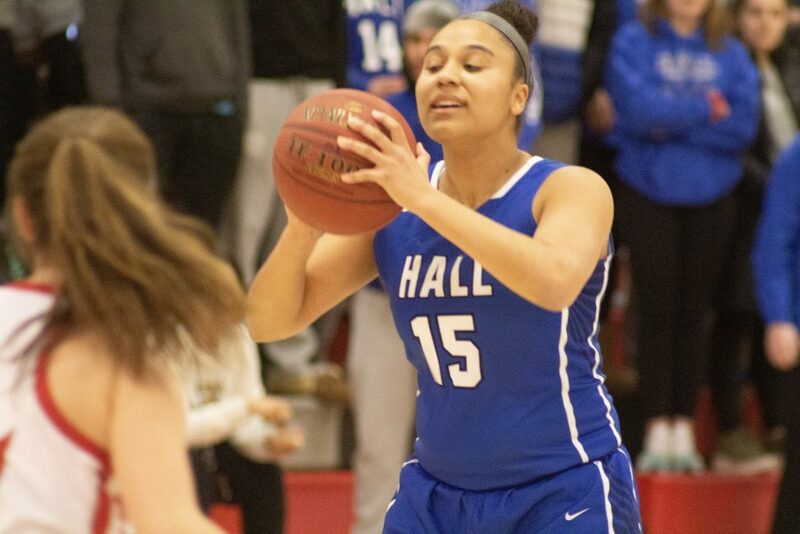 The Hall girls basketball team defeated crosstown rival Conard to win the CCC West Colonial Division and split the season series Monday night. 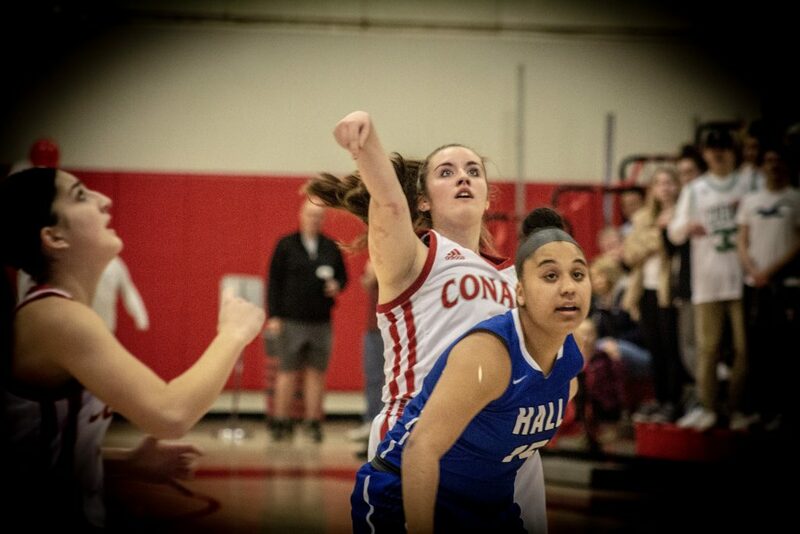 Behind three double-digit scorers and shutdown defense in the second half, the Hall girls basketball team earned the CCC West Colonial Division title and spoiled Conard’s senior night with a 52-40 win Monday night in West Hartford. 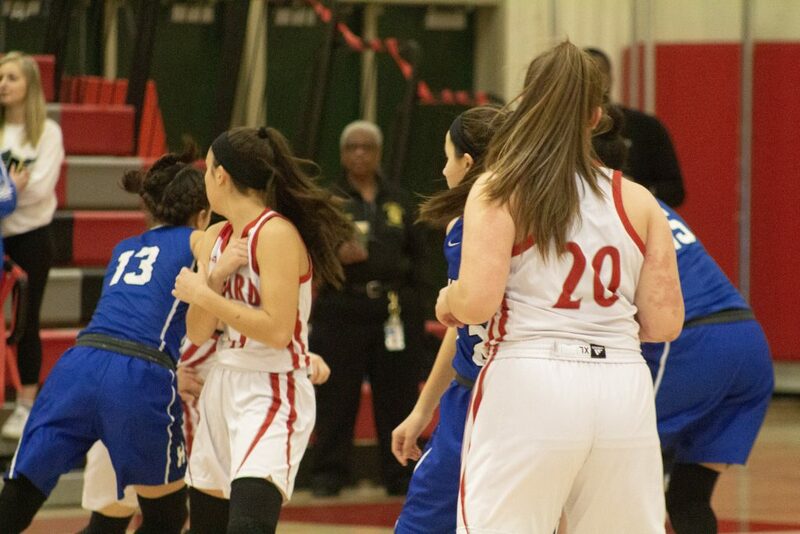 Olivia Deslauriers led the Warriors with 19 points, while Olivia Bonee and Jenna Zydanowicz added 11 each. 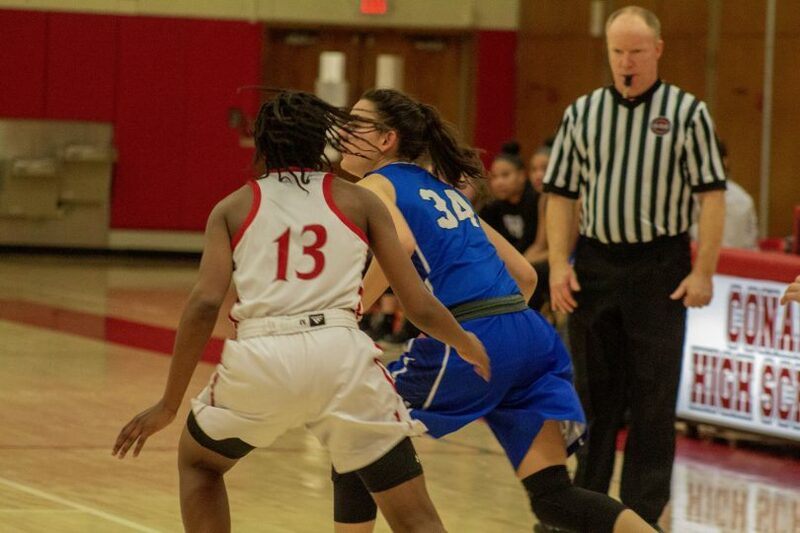 While Azaiyah Felder scored a game-high 21 points for Conard, the Warriors limited her second-half production, and the rest of the Chieftains couldn’t pick up the slack. 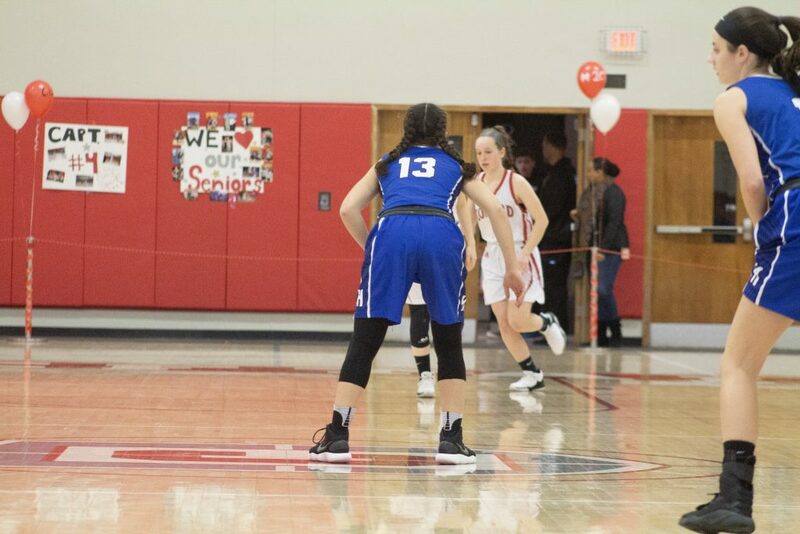 Zydanowicz led the offense inside and under the rim by driving hard to the net and grabbing rebounds, which opened opportunities outside for Deslauriers and Bonee. 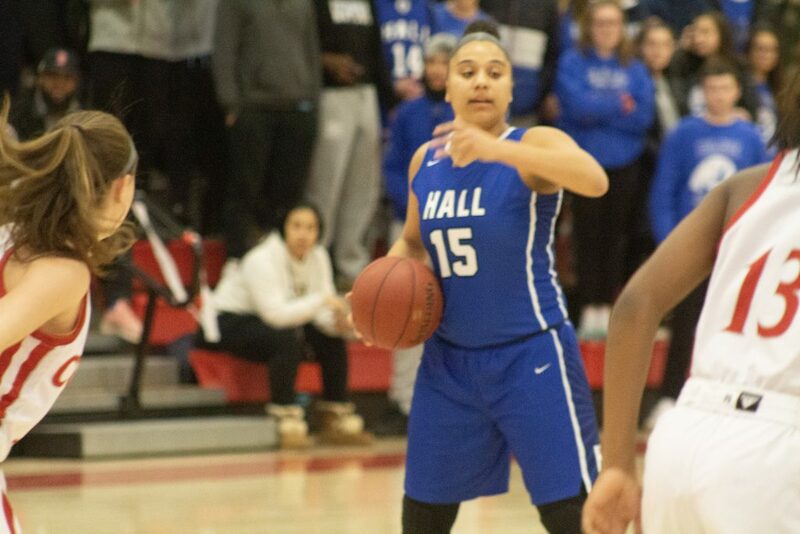 Hall head coach Brittany Huggins said Zydanowicz is “getting back to where she was” as a crucial part of the team after returning from injury. 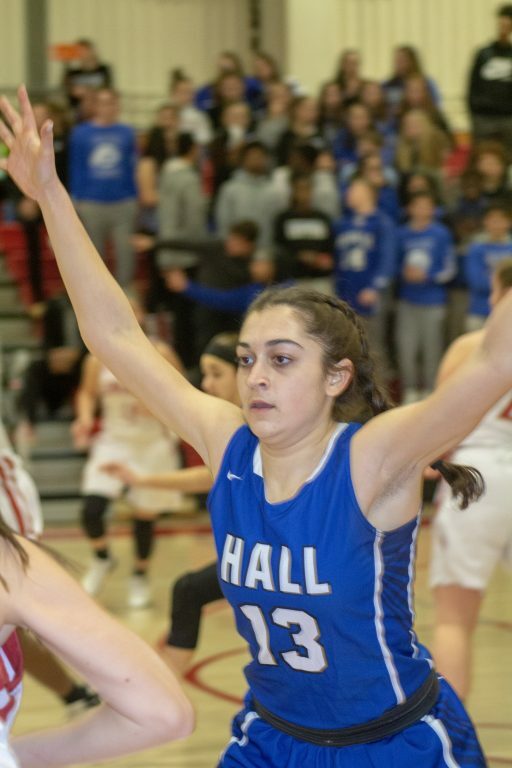 Hall (12-8) dominated the first quarter, leading 23-10 after one period. 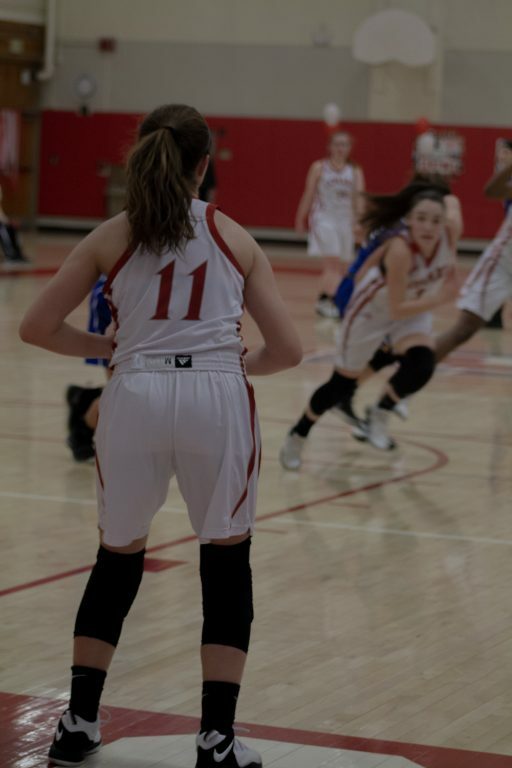 Conard (11-9) went on a 6-0 run to start the second quarter, but the Warriors ballooned their lead back to double digits with 4:21 remaining in the half. 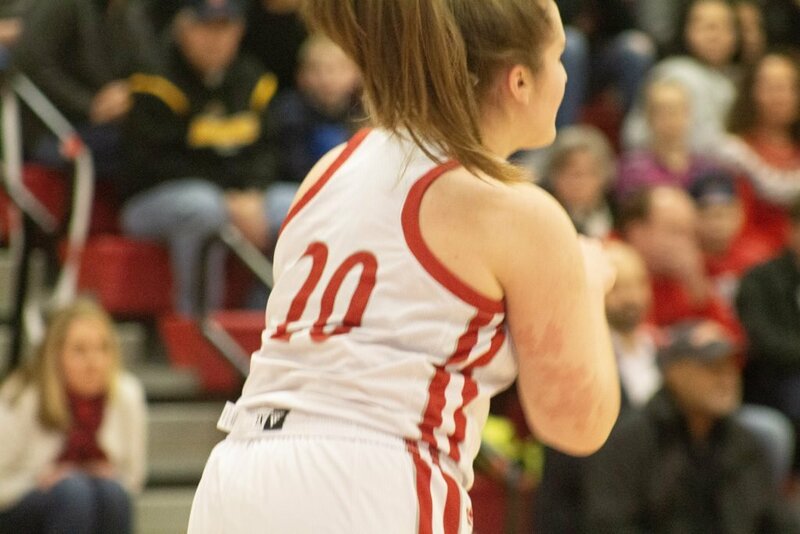 Two free throws and a 3-pointer by Meghann Morhardt brought the Chieftains within five, but Deslauriers made a 3-pointer with 14 seconds left to give Hall a 31-23 lead at the break. 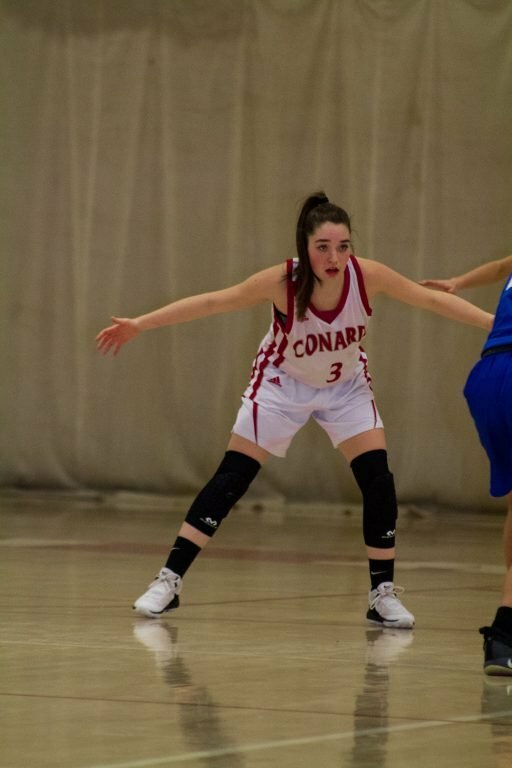 Conard tried to claw its way back in spurts, but the runs were unsustainable in the second half. The Chieftains kept pace with the Warriors for much of the third quarter until Hall clamped down defensively on Felder, and another late Deslauriers 3-pointer stretched Hall’s lead to 45-34 entering the fourth quarter. 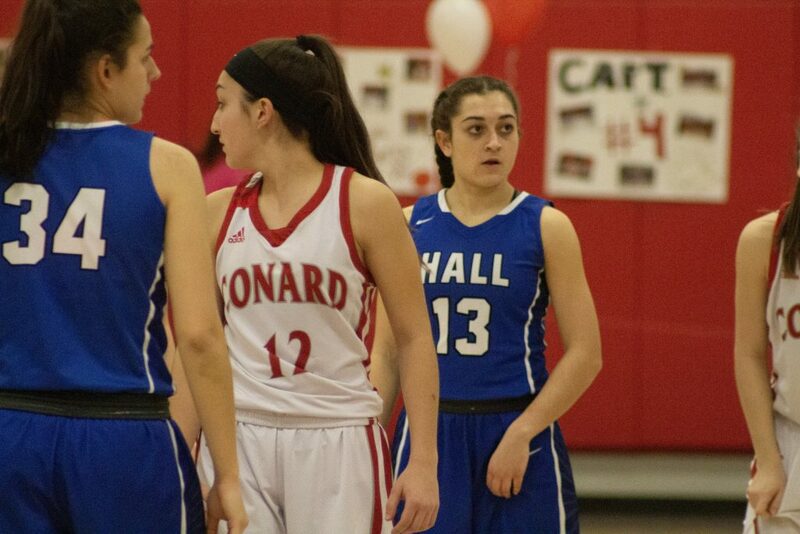 As Hall slowed its offense down to kill time, Conard never found a rhythm on its possessions in the final eight minutes to close the gap. 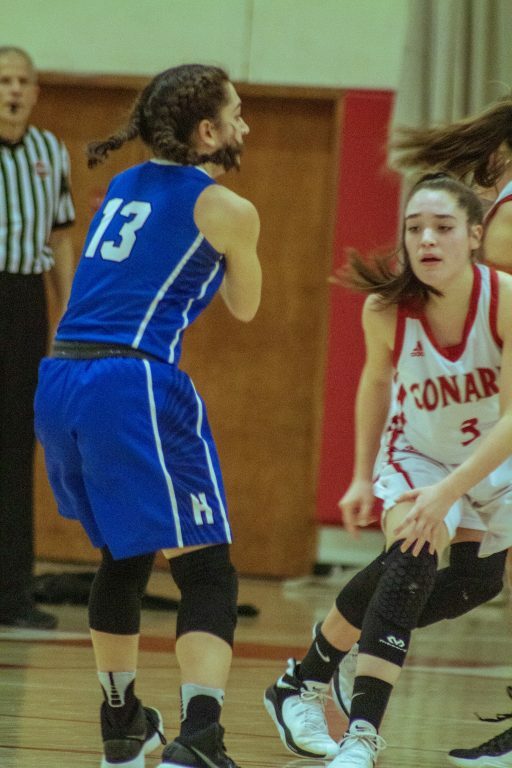 Huggins said her team was “shellshocked” by Conard’s defense in the previous matchup, but the Warriors responded well after seeing a similar look again. 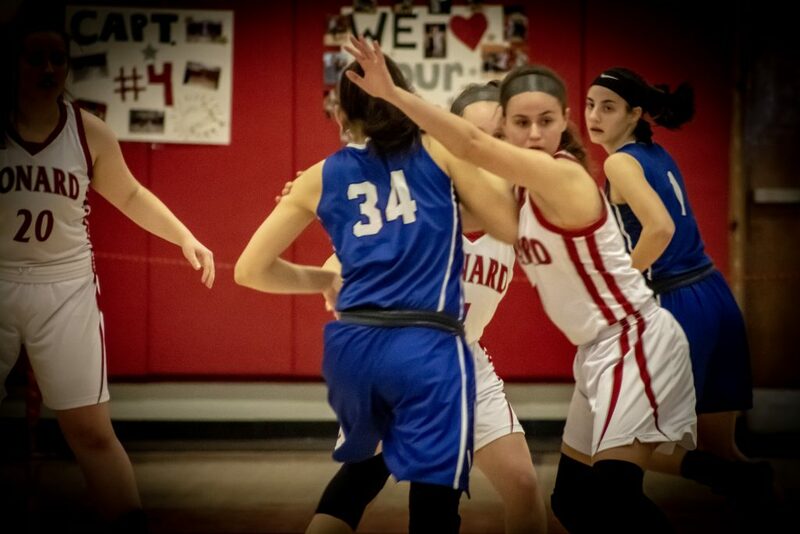 Jordan Farrell played a key role in slowing down Felder in the second half, which was a catalyst for the team’s efforts to keep Conard at bay. 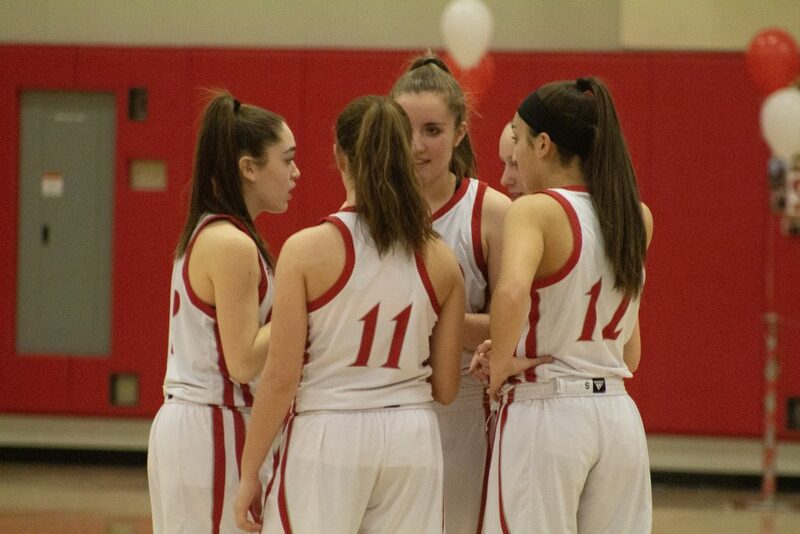 Conard honored its two seniors, Morhardt and Grace Faenza, before the game, as well as the four from Hall: Siobhan Boyle, Avery Polk, Grace Polk, and Colleen Kennedy. Despite the loss, D’Angelo knows it’s been a successful regular season for his team as they move on to the conference and state tournaments. 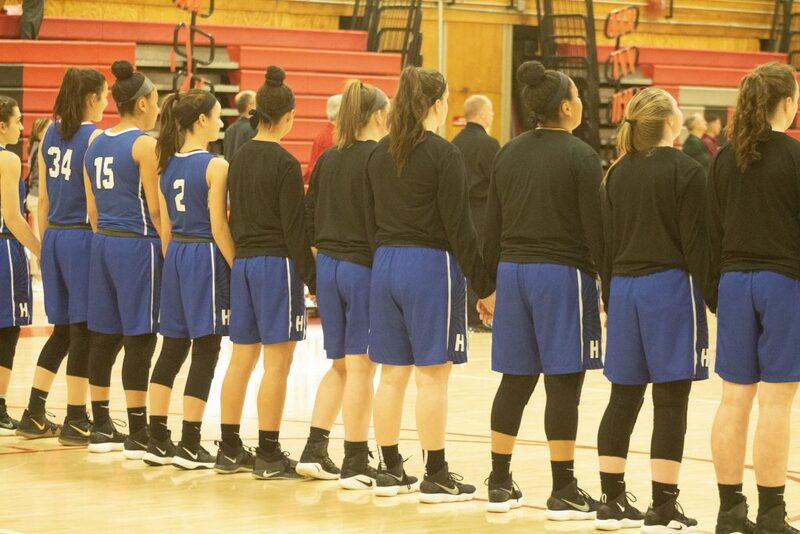 As the regular season concludes, both teams await their opponents in the Central Connecticut Conference Tournament. 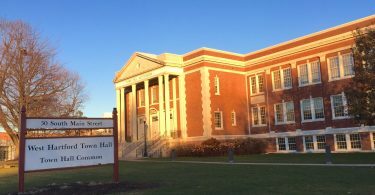 The first-round matchups are slated for Thursday at the higher seed.